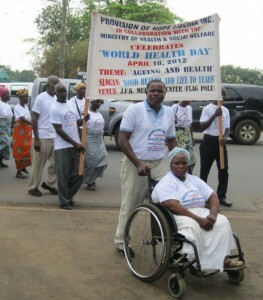 THE WORLD HEALTH DAY on APRIL 10, 2012!! This was a day to HONOR OUR WIDOWS!!!! 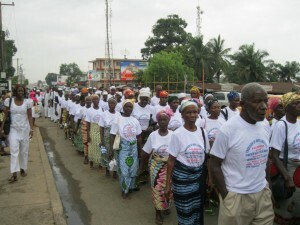 We joined the parade with our widows!!!!! It was awesome to see their proud faces!!! Our widows have suffered so much through the horrors of the civil wars. It’s the widows who would often go to bed hungry for the sake of their children. These are the ones who watched their loved ones die. Aaron Paul wheeling Ma Gorpu Our widows are singing and dancing!! Aaron is the one who started our widow ministry. He has a heart full of compassion for the elderly. 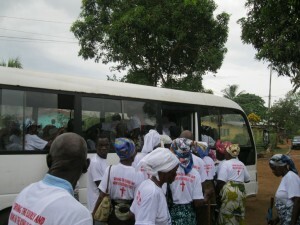 He also started our Mat to Mattress Operations where we buy beds and mattresses for the widows who sleep on the floor. 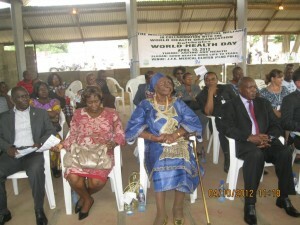 The Health and Social Welfare Department is very impressed with our widow ministry. 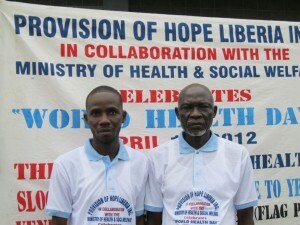 They say many NGO’s will come to do work with orphans and youth, but few work with the elderly. We love the widows!!! 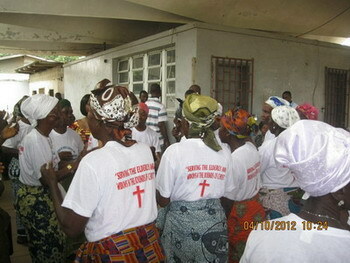 Presently we have over 200 widows on our program. VIP’s with Mary Brownell in blue dress Beautiful bus that transported our widows to the event! This was a great event and a lovely way to honor our widows. reach heaven…so glad they are being cared for. God bless you Tim and Faye! Thank you for partnering with us in this work! We love our widows! !